The perfect gift!! 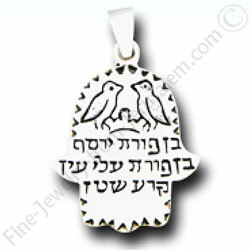 St. Silver hamsa pendant, with kaballah. This pendant is for good luck. would you like a chain to go with it?